Violet color. 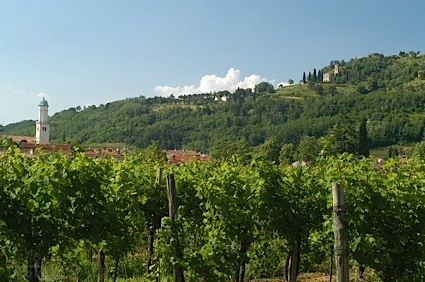 Fruity aromas and flavors of chocolate fudge and berry chutney with a supple, tangy, fruity medium body and a smooth, breezy finish with notes of menthol mint, floral honey drizzled nuts, spiced cherries, and pickled beets with silky, dusty tannins and light oak flavor. A lightly spicy, fruity shiraz with wide appeal. Bottom Line: A lightly spicy, fruity shiraz with wide appeal. 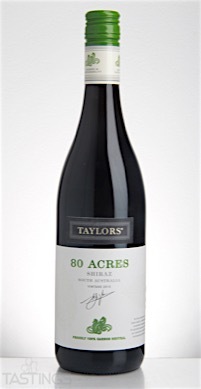 Wakefield/Taylors 2015 "Eighty Acres", Shiraz, South Australia rating was calculated by tastings.com to be 88 points out of 100 on 9/21/2016. Please note that MSRP may have changed since the date of our review.